﻿ What Is Your Favorite Town In Runescape? What Is Your Favorite Town In Runescape? We know that you are here today to look at our cheap Runescape Gold special offers, but we also thought that you guys would like to have a little fun as we discuss what is our favorite town in Runescape. There are more than a few of us in the 2007RunescapeGold.com office who are big Runescape fans so we have a few different answers here. Menaphos: Most of us love what Jagex has done with Menaphos. There is just a whole lot of mystery here and we really get a kick out of the Egyptian kind of vibe that there is going on. TzHaar City: This one needs no introduction it is a city that is under a volcano so it gets major cool points for that…or should that be hot points? We just love the art style of this one. Monkey Colony: We just love how Jagex actually put a place called The Monkey Colony in the game and there is no better way to relax than with a nice cool and refreshing Chimp Ice. Sophanem: What is there not to love about the city of the dead? With plenty of celebrations of the dead this is a cool, but kind of creepy place that many Runescape fans love. So that is our favorites. 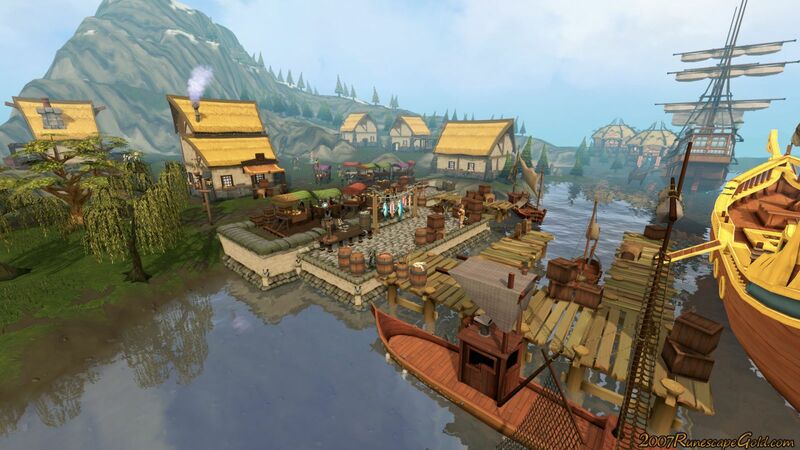 We would love to hear from you guys on what your favorite town, city or place in Runescape is. Please remember this is just for fun so even if there are not any fun quests there, but you just love the style, let us know! Thanks for reading and save yourself some big money by checking out our cheap RS Gold.